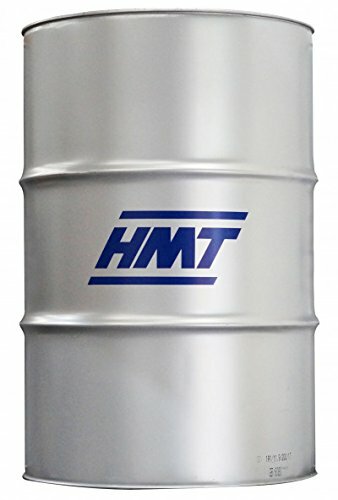 HMT PREMIUM SYNTHETIC INDUSTRIAL GEAR OIL PAG grades are a range of polyalkylene glycol (PAG) based synthetic lubricants which provide outstanding load carrying properties and excellent thermal stability. They have been specifically designed to provide excellent corrosion protection and demulsibility characteristics. The HMT PREMIUM SYNTHETIC INDUSTRIAL GEAR OIL PAG RANGE allow thermally stable operation at temperatures in excess of 200?C. Typical applications include the lubrication of calendars, piston compressors and bevel, spiral bevel, helical, enclosed spur and worm gear units. They remain homogenous from below their pour point to temperatures in excess of 250?C. The anticipated service lifetime of each grade is substantially in excess of 10,000 hours at 100?C. In industrial enclosed gear units the performance allows for extended drain intervals and, in some cases, for operation as a "fill-for-life" lubricant. DIN 51517-PART 3 (CLP), DAVID BROWN TYPE G. Always refer to the manufacturers handbook before use. Performance levels can be subject to change. Technical Datasheets available upon request.